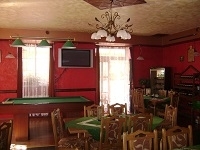 The hotel restaurant offers pleasant seating with a capacity of 50 seats and the non-smoking lounge with a capacity of 30 seats. In the restaurant, dance floor is widely used at weddings and other celebrations. 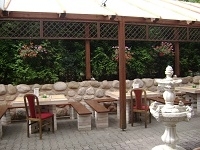 In the summer months, it is open to roofed terrace with the capacity of 40 seats. 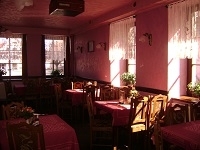 Kitchen, with a wide range of finished and Quickies, grilled specialties, pasta, salads and desserts. The brick bar with a wide selection of alcoholic and non-alcoholic beverages, branded the Templar wines and delicious cocktails.